Enjoy the start of St. Patrick's Day Weekend on board the Wilmington & Western! 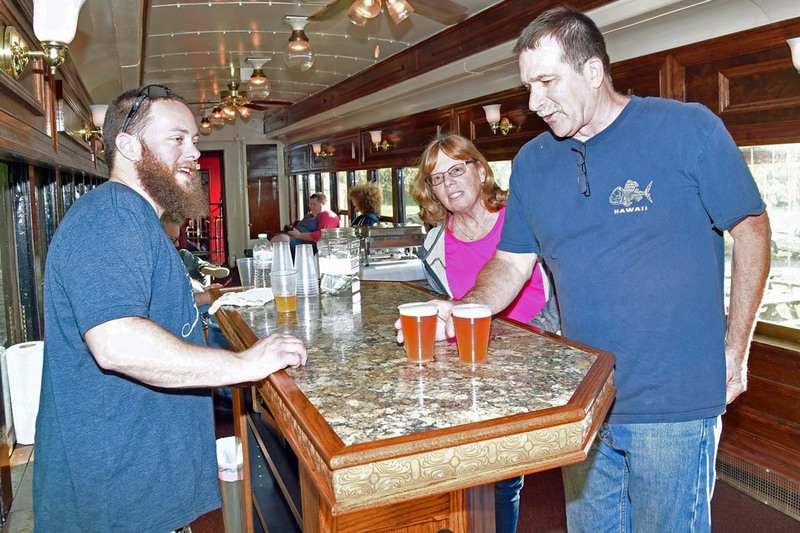 Bellefonte Brewery will be supplying the brews for your tasting pleasure on a leisurely 1½-hour round-trip through the valley. Your ticket includes two 12 oz. pours and a pretzel. Additional pours are available for cash. Sláinte! MUST BE 21+ TO RIDE. This departure is powered by one of our historic first-generation diesel locomotives. HRCV Members save $5 on each ticket. What's this?